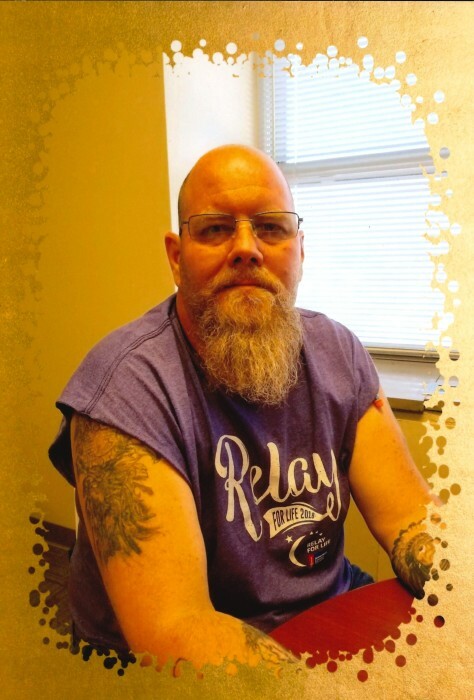 Daren T. Everett, 52, of Fort Branch, IN, passed away peacefully at his residence in Fort Branch, IN, with his family by his side. He was born on Dec, 30, 1966 in Franklin, IN to the late Robert and Louise (Yocum) Everett. Daren worked as a carpenter. He was a member of the Carpenters Union, Amvets, the Stanford, KY. and Petersburg, IN, VFW. Daren is survived by his wife, Lisa (Roller) Everett of Fort Branch, IN, 2 sons and a daughter, Jonathan Everett of Effingham, IL, Devyn Roller of Columbus, IN, and Caitlin Klatka of Myrtle Beach, SC. He also has 2 sisters and a brother, Donna Valdez of Phoenix, AZ, David Everett of Bluffton, SC, and Dana Everett of Whiteland, IN. He is also survived by 6 grandchildren, Jasper Everett, Hannah Everett, Charlie Roller, Liam Roller, Fynnleygh Klatka, and Knox Klatka. A celebration of Daren's life will be held at Fox and Friend Funeral Home in Stanford, KY at 2:00 P.M. on Saturday, January 26th, 2019 with Michael Jones, MSA Chaplain, officiating. Burial will follow in Buffalo Springs Cemetery. A Visitation will be held from 12:00 P.M. until service time at the Fox and Friend Funeral Home Saturday. Stodghill Funeral Home has been entrusted with local arrangements in Indiana.